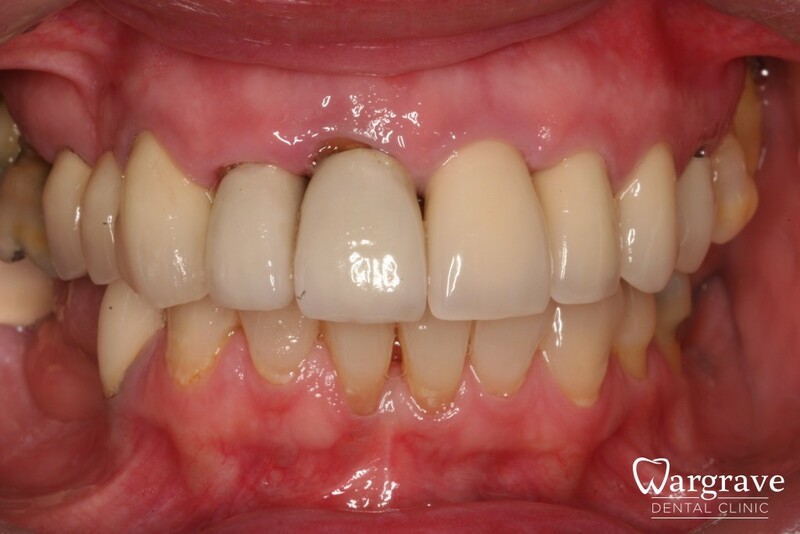 Case 1 – In this scenario the upper left central incisor had a fractured root and it could no longer support a new crown. The remaining root was extracted and in the same appointment a dental implant was placed. 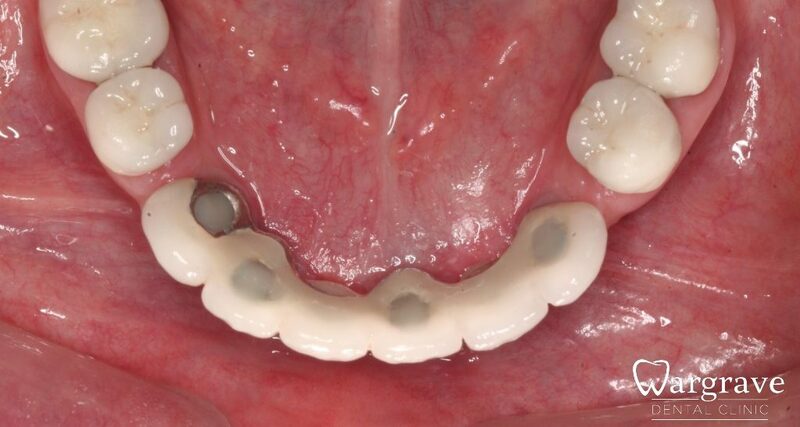 The patient wore temporary bridge whilst the implant was healing (or integrating). 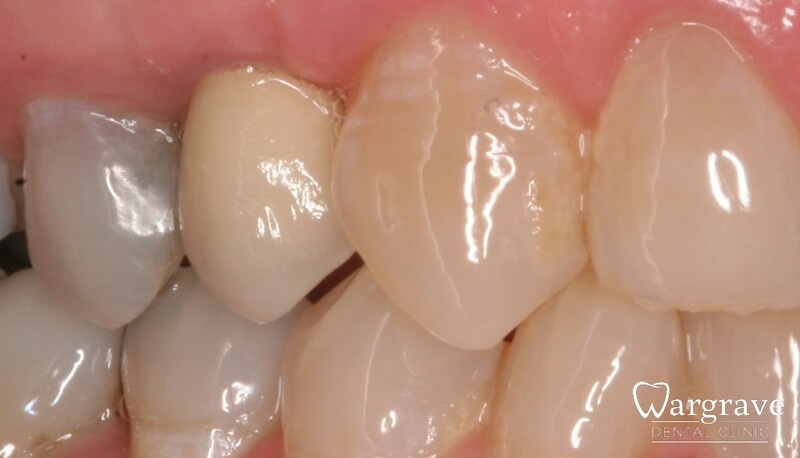 The final ceramic crown was aesthetically matched to the adjacent natural teeth. 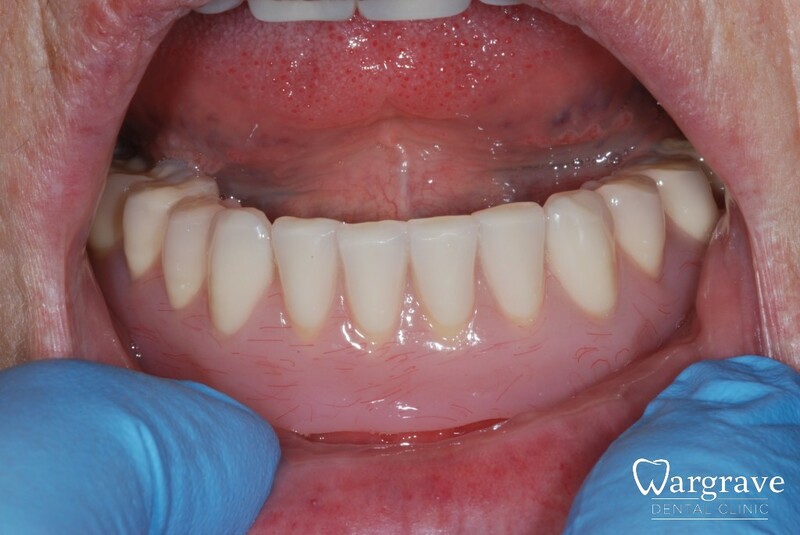 Case 2 – This patient had two failing root treated incisors. To reduce the number of visits, the dental implant (made of titanium) was inserted at the same time the other teeth were extracted. 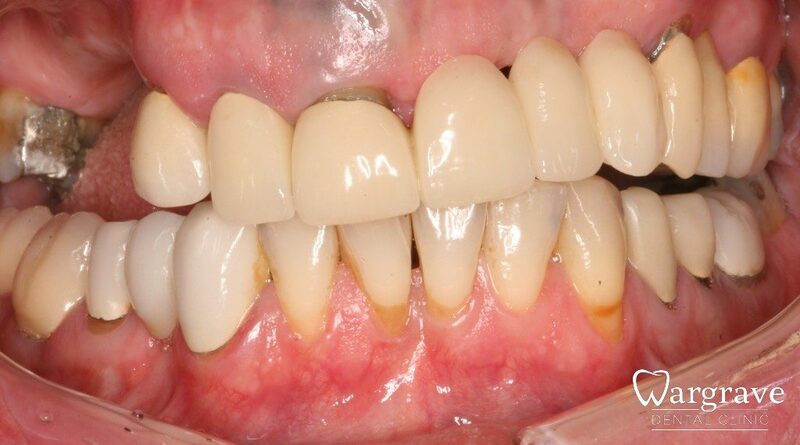 In this situation only one implant was required to replace the two extracted incisors. The referring dentist completed the final bridge for their patient. 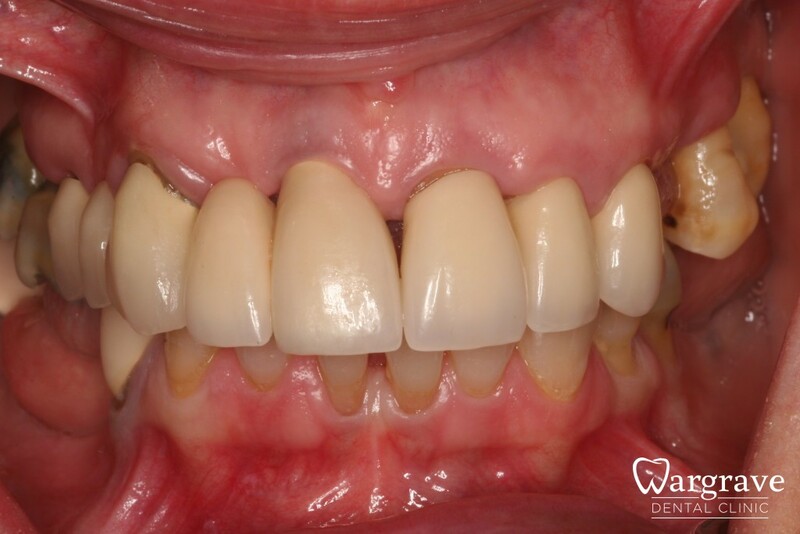 Case 1 – This patient wished to replace her lower denture with “fixed teeth”. 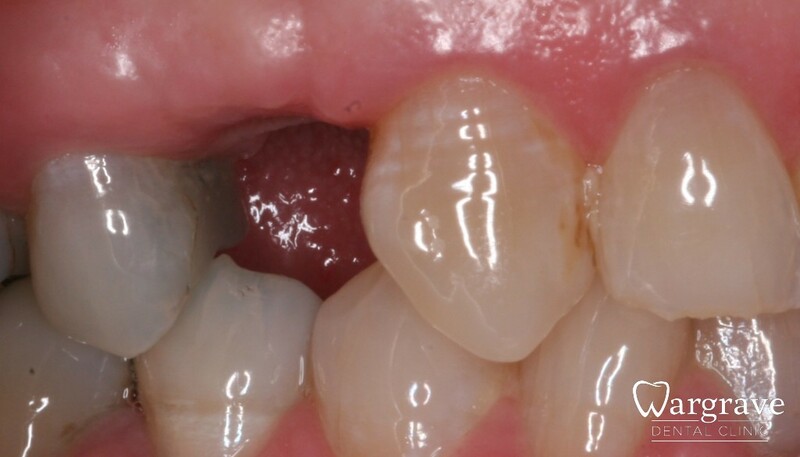 The lower right molars was restored with a 3 unit implant bridge. The front gap was restored with an adhesive bridge. Both bridges have been present since 2007 and continue to be secure and unchanged. 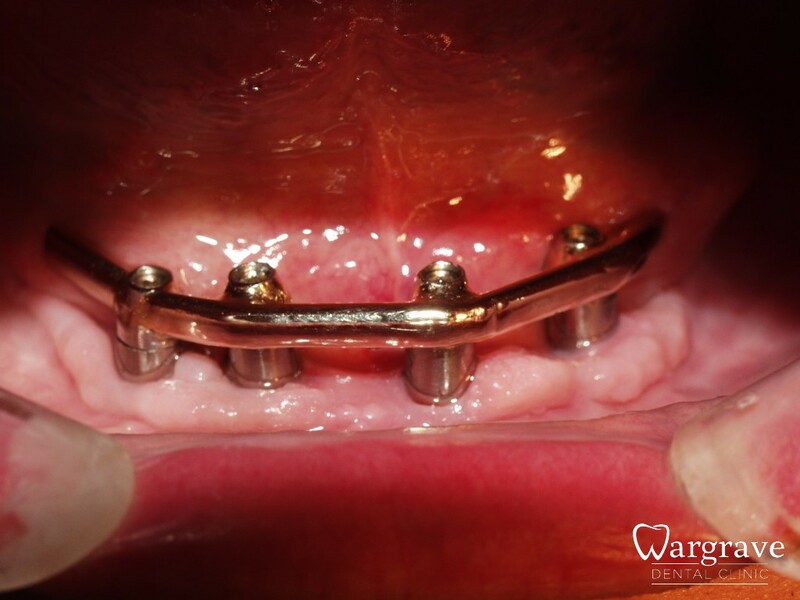 Case 2 – This patient had multiple implants in her top jaw in 2005. 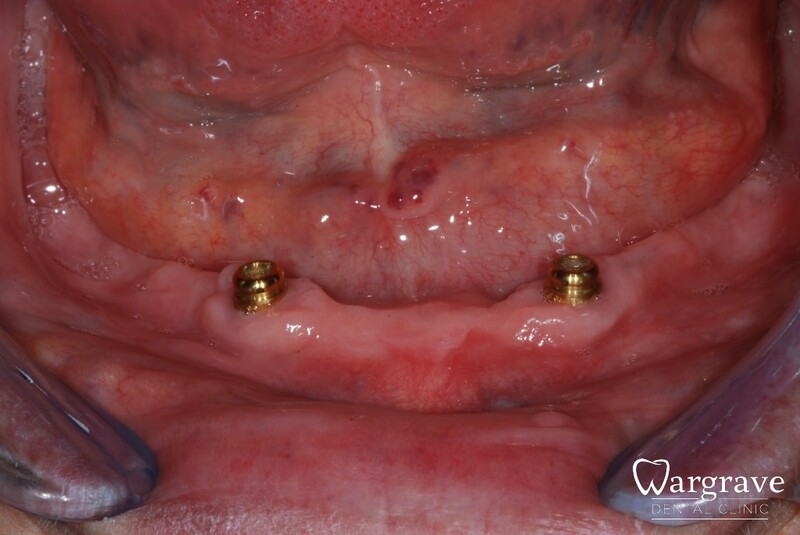 This final implant bridge consisted of a gold framework which is certainly not the preferred choice today. Modern technology and techniques has improved considerably. Today frameworks are generally milled titanium that are then veneered with tooth coloured material. 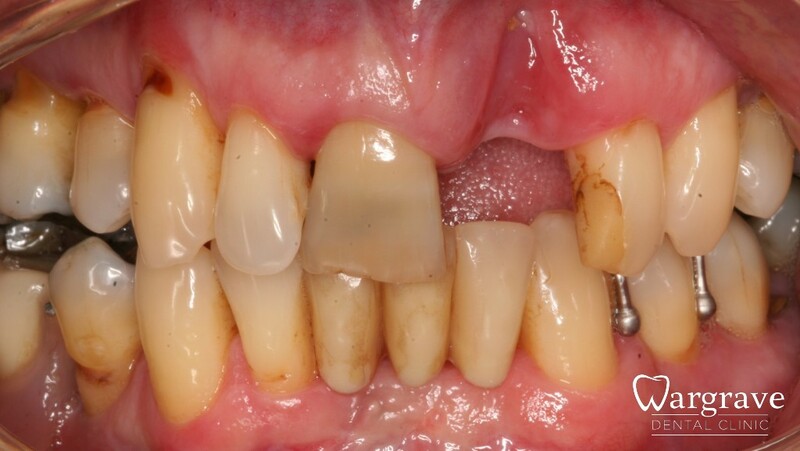 Case 3 – Four lower implants were placed in this case to replace developmentally absent teeth. 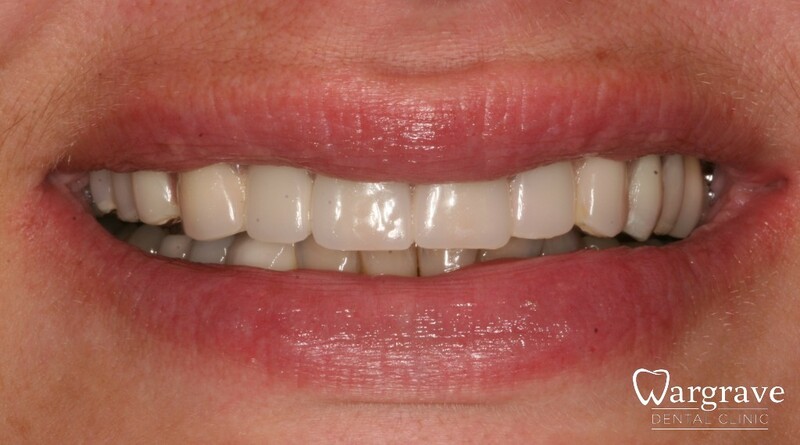 The lower arch was restored with an implant bridge and four ceramic minimum prep provided on the back teeth to correct the bite (or occlusion). 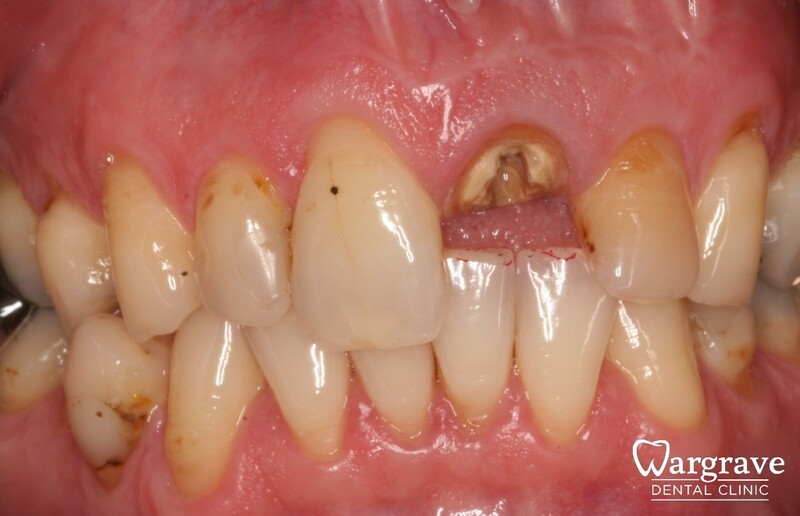 Case 1 – Removable dentures can become very loose especially if the underlying bone continues to shrink away. Some patients are very happy with their dentures but just want them a little more secure. 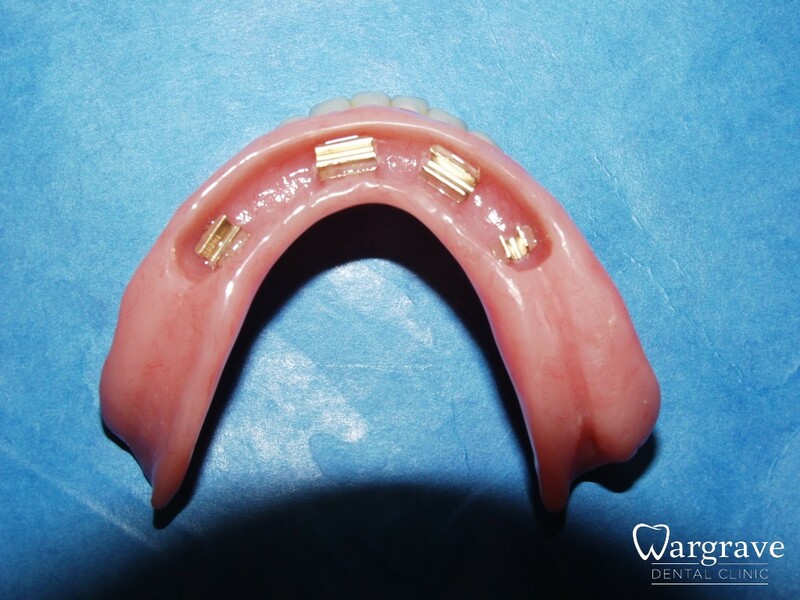 Implants attachments in the form of Locators (like a snap fastener) attach to the denture under surface. Alternatively the implants can be linked with a bar for the denture to clip onto. Both enhance denture stability and comfort. 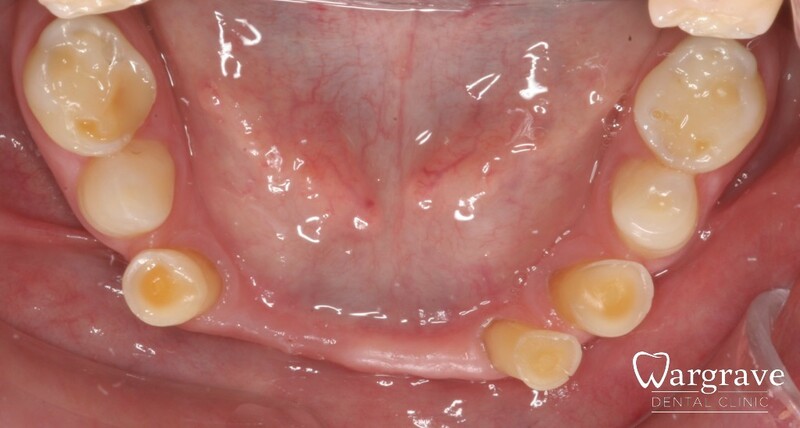 Case 2 – Removable dentures can become very loose especially if the underlying bone continues to shrink away. Some patients are very happy with their dentures but just want them a little more secure. Implants attachments in the form of Locators (like a snap fastener) attach to the denture under surface. Alternatively the implants can be linked with a bar for the denture to clip onto. Both enhance denture stability and comfort. 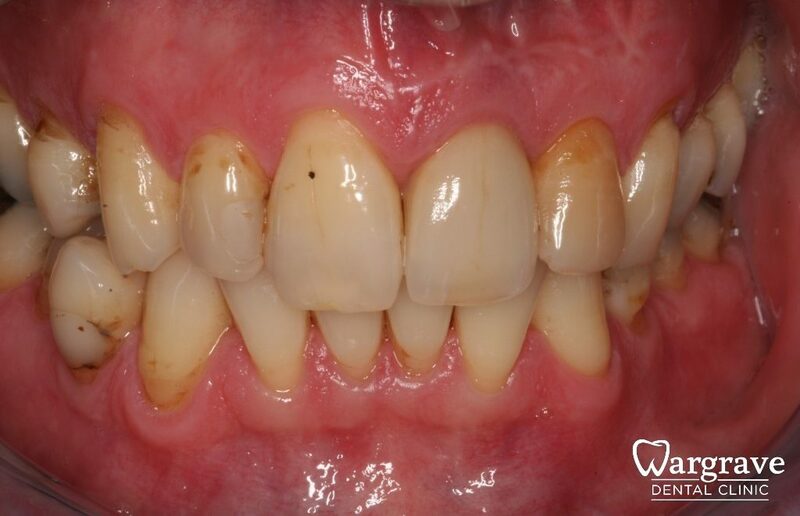 Case 1 – This patient had a developmentally absent lateral incisor (hypodontia). With careful planning with the orthodontist, the correct space and root angulations was achieved. 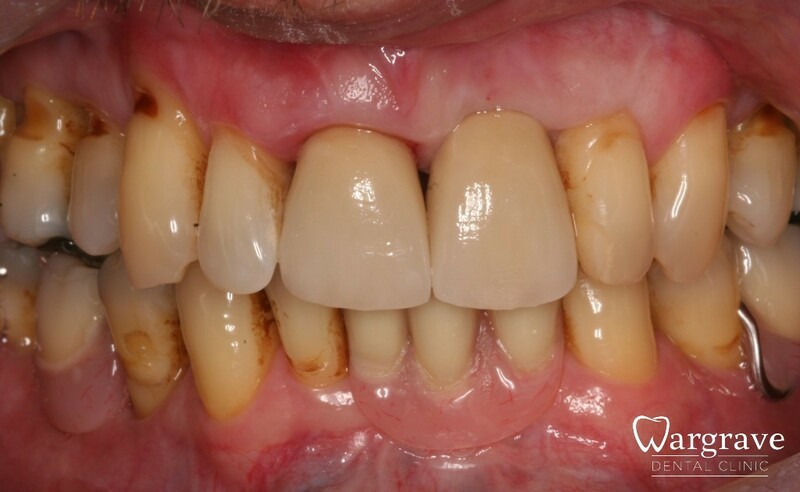 The gap was restored with a single tooth dental implant. Case 1 – There are a few options when replacing a missing tooth. 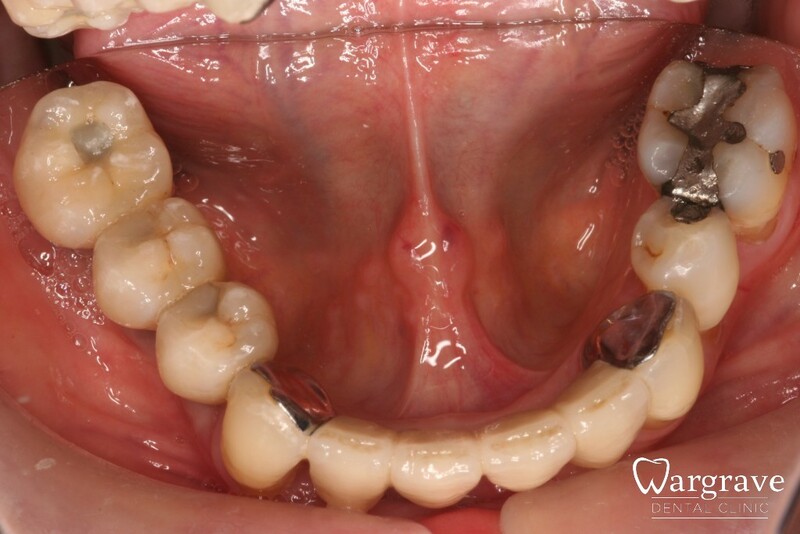 Bridges rely on the quality and strength of the adjacent teeth to carry the extra tooth. Dentures are also a possibility but will not suit everyone. Implants are independent to the adjacent teeth and are a predictable long term solution.Both enhance denture stability and comfort. 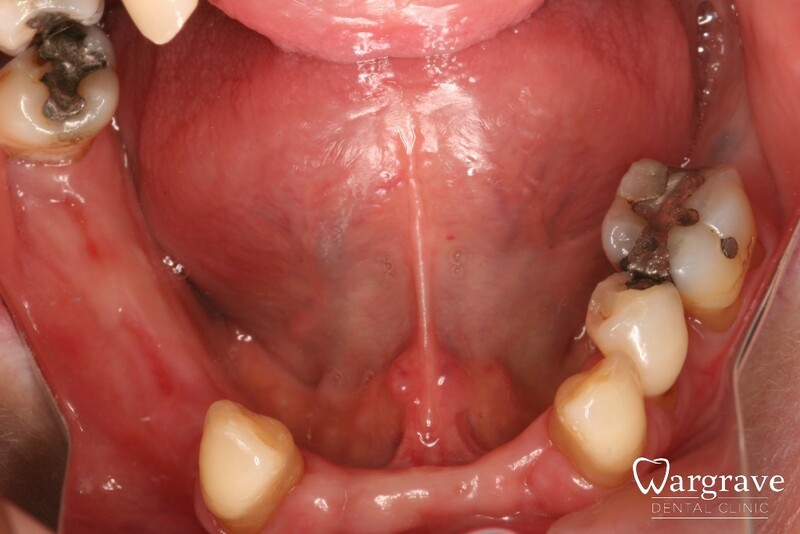 Case 1 – In some situations there may be a lack of bone from the outset. In this situation the patient had suffered a sporting injury and lost the upper incisor tooth and the surrounding bone in the accident. This is a challenging presentation but it was successfully treated with a dental implant and a bone substitute to restore the bone defect. This technique is called GBR.